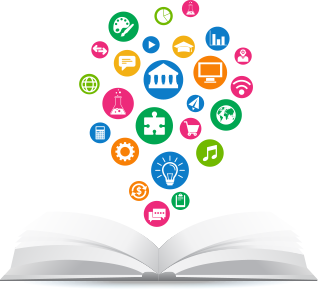 An open source Learning Management System (LMS) such as ATutor, Moodle or Sakai have many advantages over commercial or proprietary options available on the market today. However, there are also some drawbacks to going the open source LMS route. There is really no one right way to approach the issue of open source vs. proprietary online course software. It really depends on what your needs and goals are as an educator, entrepreneur or subject matter expert. WHY DO YOU WANT OPEN SOURCE IN THE FIRST PLACE? 1. Open Source means “free” in many cases. 2. Popular open source LMS’s are seen as stable options that are constantly undergoing development. There is great merit to both of those assumptions. However, both assumptions require further examination. FREE ISN’T NECESSARILY FREE, IS IT? When a company doesn’t have resources they may have a hard time attracting the right kind of talent. When you look at most of the open source options available and then you look at a company offering proprietary LMS software, like Blackboard, you can see immediately that Blackboard has the resources to put into feature enhancement and design. Not to single out any open source option in particular, but most leave a lot to be desired from a design standpoint. Sure, many of them are very powerful options with great features, but software strength is only one piece of the puzzle for most people offering or selling courses online. They want a platform that they can be proud to present to their students. Looks aside, the assumption that open source options are free also needs examination. Most open source options don’t cost any money out of the box, but their are “freemium” version of the software available to those that want to upgrade to get access to more features. In some cases those features can end up costing a lot (sometimes even more than proprietary options). Again, the same goes for design. As we’ve already mentioned, the design standards “out of the box” for many open source LMS’s won’t inspire people with a strong eye for design. Which means in many cases you’ll be hiring designers and coders to help you tweak the code to bring it up to your own visual standards. There are hybrid options available and this is the route we’re most interested in at Academy of Mine (in fact it’s a hybrid system we run our members’ eCourse sites off). Or take this site you’re on now for example. We’re running on the popular open source WordPress Platform. However, our design was built by a premium theme developer who designs WordPress themes. Similarly, many of the extensions running on our site (like our banking extension) was built by third party developers who charge us licensing fees to access their “add-on software”. In the end it usually ends up being a mash up of plugins, extensions, themes and software installs that end up making your online course website work the way you want it to. The open source community, after all, can’t cater to everyone or everyone’s interest. So businesses come in to help innovate, add value and carve out their own niches. On our members’ eLearning sites we use both open source Learning Management Systems and proprietary LMS’s (depending on the member’s needs). one hasn’t proved to be better than the other. It’s just that each one fits the needs of the teacher, course vendor or subject matter expert differently. If you want to see how a few of the more popular online course software programs fare against each other you can view our Learning Management System comparison chart.